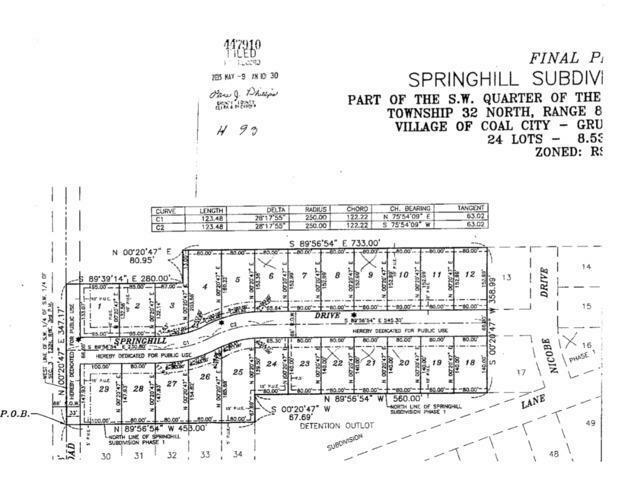 BUILD YOUR DREAM HOME IN SPRINGHILL SUBDIVISION! FANTASTIC LOCATION, CONVENIENTLY LOCATED NEAR SCHOOLS AND SHOPPING AND CLOSE TO I-55, I-80 AND RT.47 IN MORRIS! LOTS CAN BE PURCHASED INDIVIDUALLY OR AS BULK SALE (6 LOTS TOTAL IN SUBDIVISION AVAILABLE). DRIVE BY OR CONTACT LISTING AGENT FOR MORE INFORMATION!